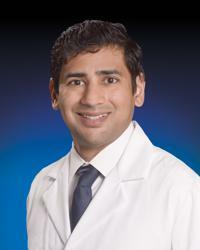 Bhavin M. Patel, DO is a cardiologist with the MedStar Heart & Vascular Institute at MedStar Franklin Square Medical Center. Dr. Patel treats a wide range of cardiovascular disease including hypertension, coronary artery disease, hyperlipidemia, heart rhythm issues, and congestive heart failure. He has a particular interest in preventive cardiology and the aggressive treatment of cardiovascular disease in young patients. He utilizes a holistic approach to treating his patients. He emphasizes empowering his patients through dietary counseling, physical activity, and patient education. He is very interested in the clinical application of evidence based medicine. He is passionate about physician involvement in public health management and policy. He enjoys teaching future generation of physicians. Understanding that seeing a cardiologist can cause anxiety for some patients, he strives to put each patient at ease and make them feel comfortable by listening to them and fully understanding their concerns and complaints. He also takes the time to educate his patients about their conditions, medications, and the impact on their lives.